Great colours to use for all those snowy Christmas scenes, especially those snowmen and even though here in Australia we have Christmas in Summer I still love colouring up the winter scenes for Christmas. So make sure your project contains blue and white, but you can use hits of other colours as well. 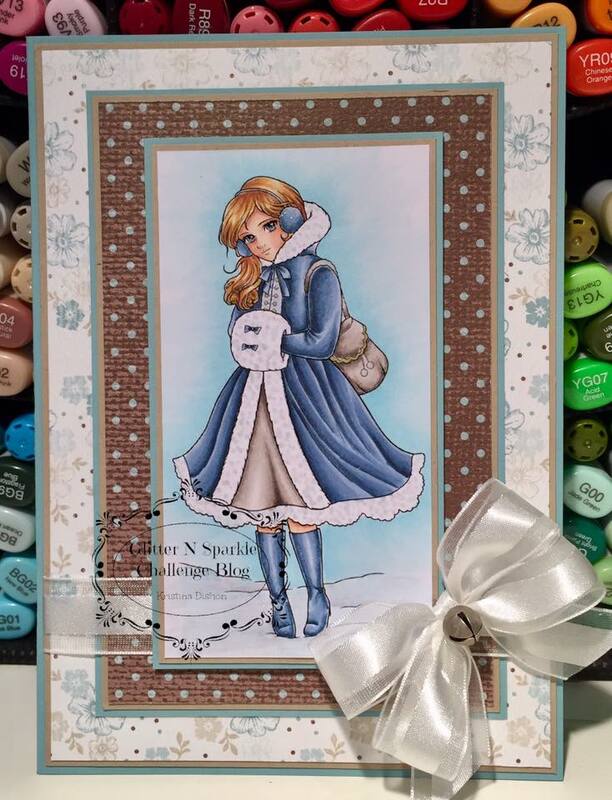 For my card this week I am using the gorgeous Lemon Shortbread image - Winter Snow Muff Girl. Isn't she lovely! 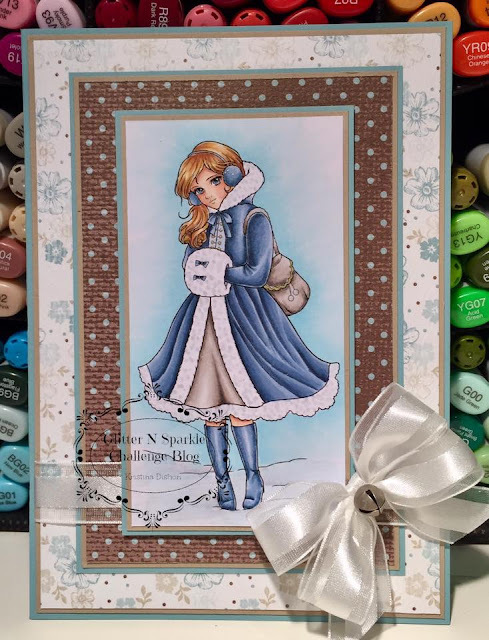 I have coloured her with Copic markers and teamed the image up with patterned paper from Stampin' Up to create my card.